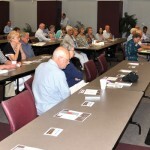 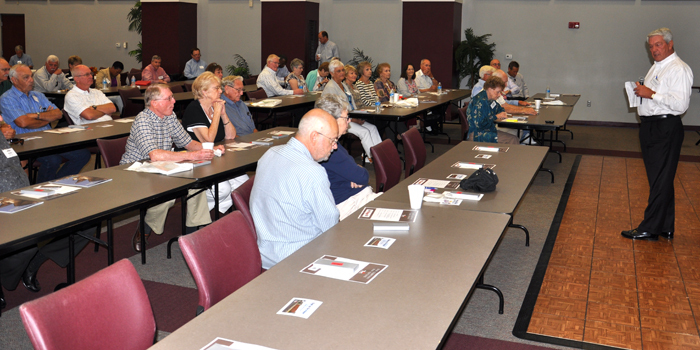 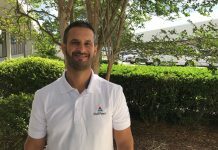 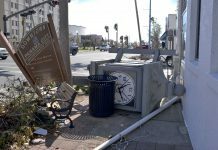 Gulf Power recently hosted Retiree Roundups at the Corporate Office in Pensacola and in Panama City to provide retired employees with company updates. 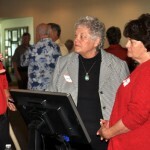 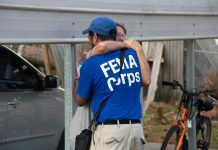 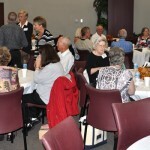 More than 130 retirees and spouses attended. 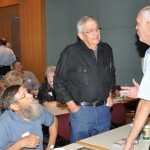 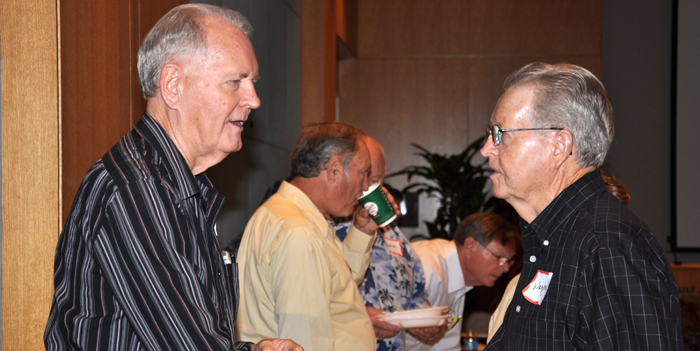 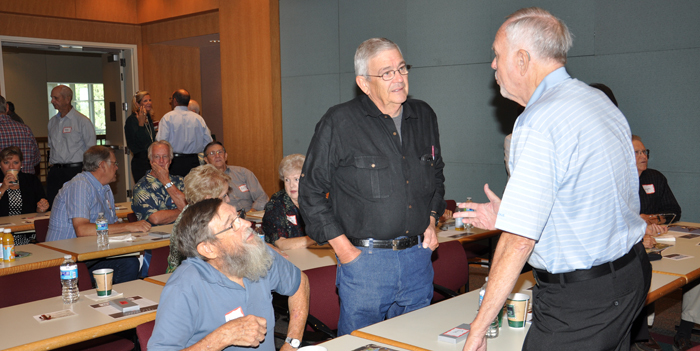 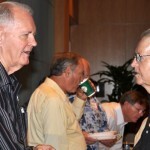 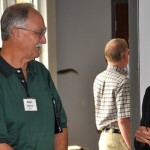 Retirees chat at the Gulf Power Roundup at the Corporate Office. 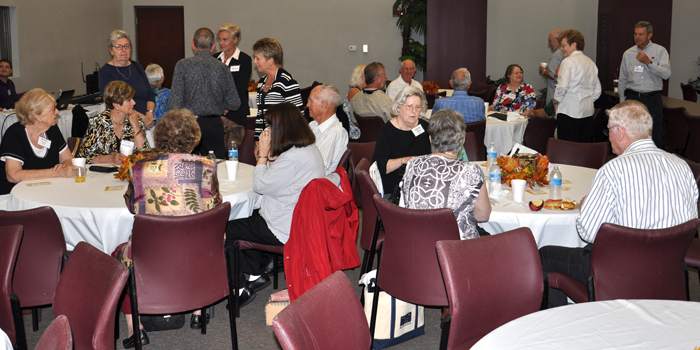 Retirees at the Gulf Power Retiree Roundup in Panama City. 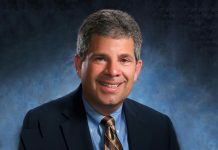 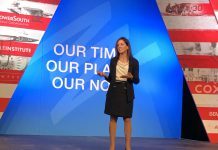 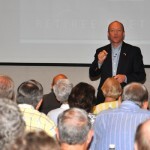 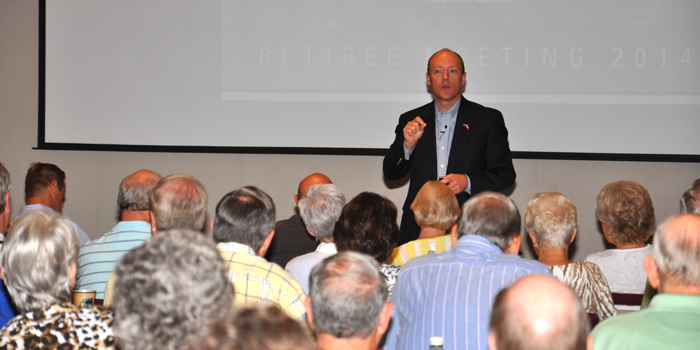 Gulf Power President and CEO Stan Connally gave an update on the company at the recent Retiree Roundups for Gulf Power retired employees. 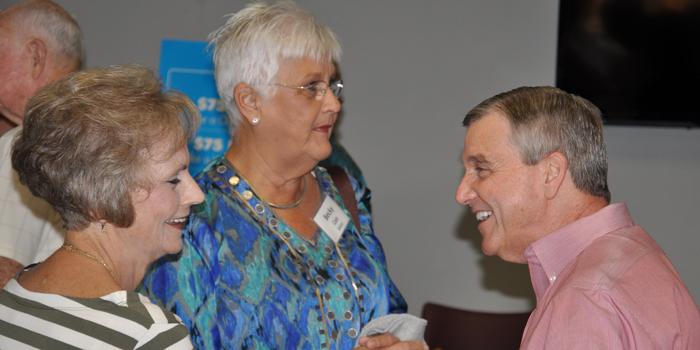 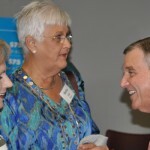 Tim Lambert, Human Resources, chats with a retiree at the Retiree Roundup in Panama City. 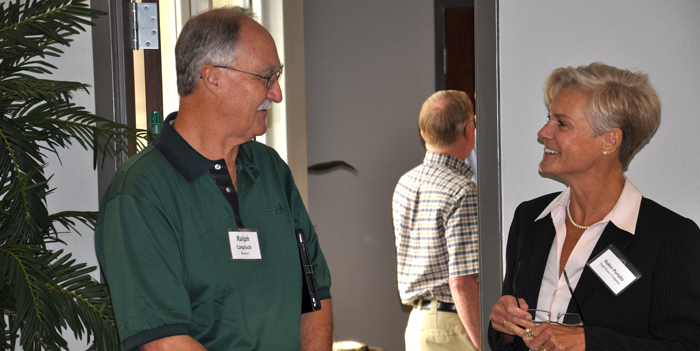 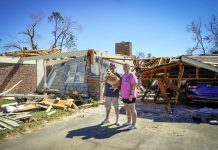 Robin Punyko, right, Community Development, chats with a retiree at the Retiree Roundup in Panama City. 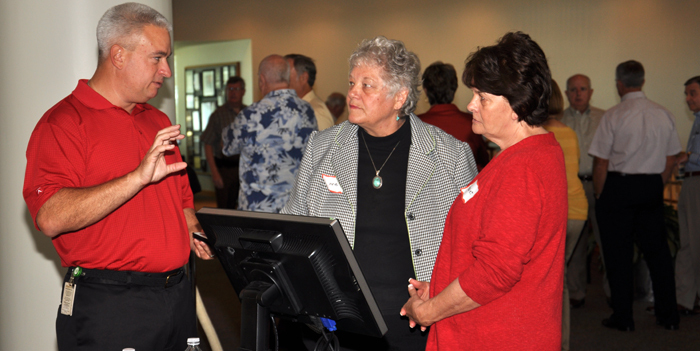 Jack Hierholzer, left, Distributions Operations Center, explains the online outage map at the Retiree Roundup at the Corporate Office.